Neela is a registered Yoga teacher/therapist and an accredited psychotherapist, supervisor and trainer. Her interest in Yoga began at a young age, sparked by her Indian background and childhood visits to her family in India. Qualifying in 1998 as an integrative psychotherapist, Neela has since completed further training in CBT, EMDR therapy, and clinical supervision. Her specialist areas are attachment, PTSD and anxiety disorders and she previously worked in psychiatric and forensic settings. She now combines private practice with her work in community health clinics offering both psychological and complementary health services. 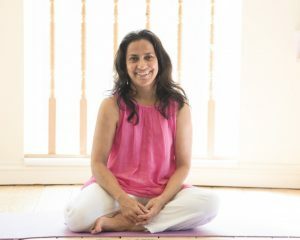 Through her own Yoga practice and her career as a psychotherapist, Neela came to recognize the vital connection between body and mind and the impact this has on our health and well-being. Neela qualified as a Yoga Therapist in 2014. She is now both the co-ordinator and a member of the supervision team at The Minded Institute as well as being the marker for all trainees’ homework assignments.